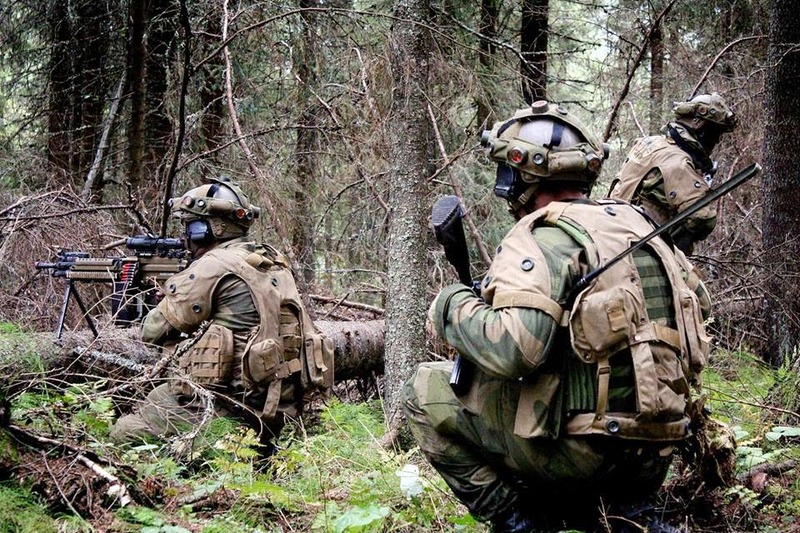 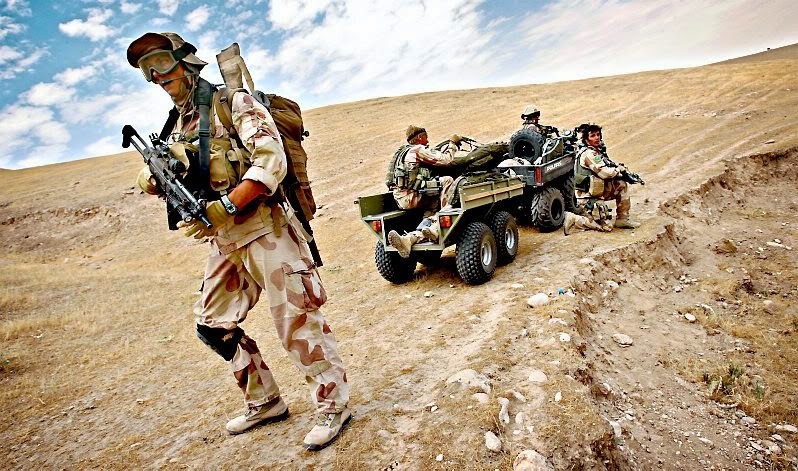 The "norske forsvarets"('Norwegian Defence') camouflage pattern was introduced around 1980, when the first camouflage version of the jakke, felt M/75 ('field jacket, model 1975') was introduced into service. 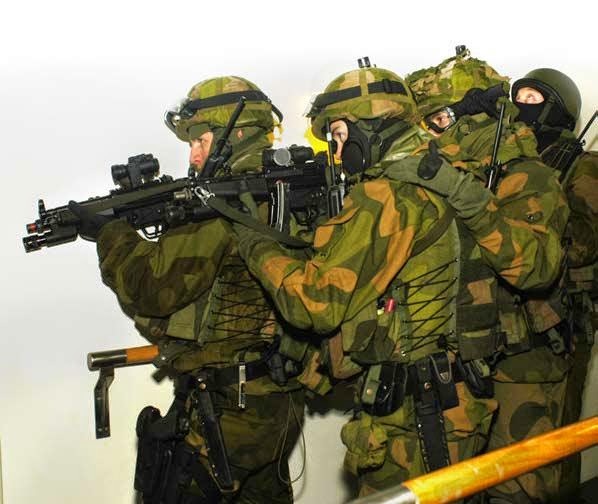 It is a very basic three-colour camouflage, comprising smooth dark green and light green blobs on a tan background. 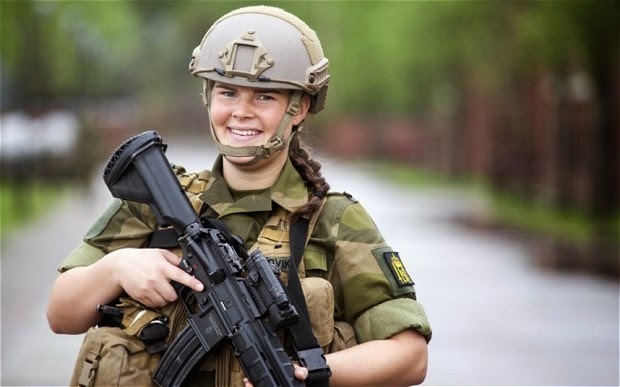 The pattern is also displayed on the jakke, felt (M/98) ('field jacket, model 1998'). 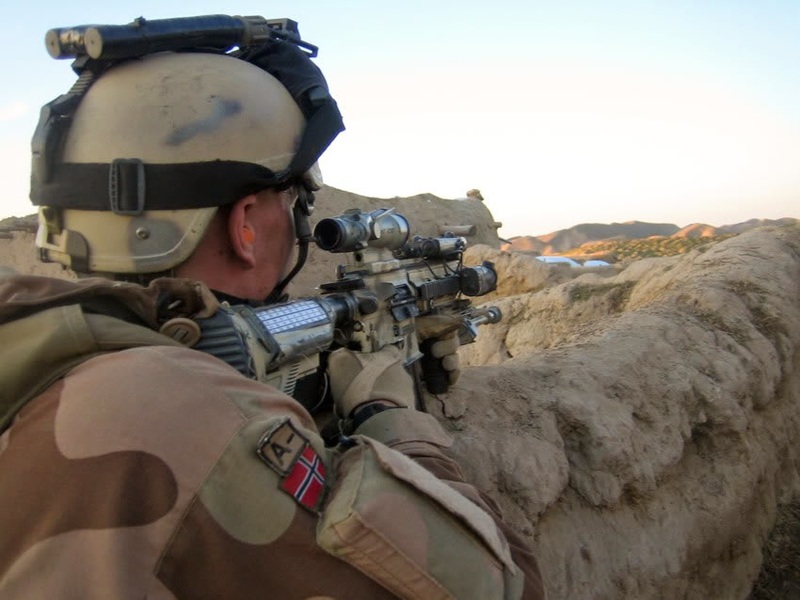 Uniforms in this camouflage pattern were originally issued to soldiers of the Haelig;ren ('army') and Fallskjermjegertroppen (airborne troops). 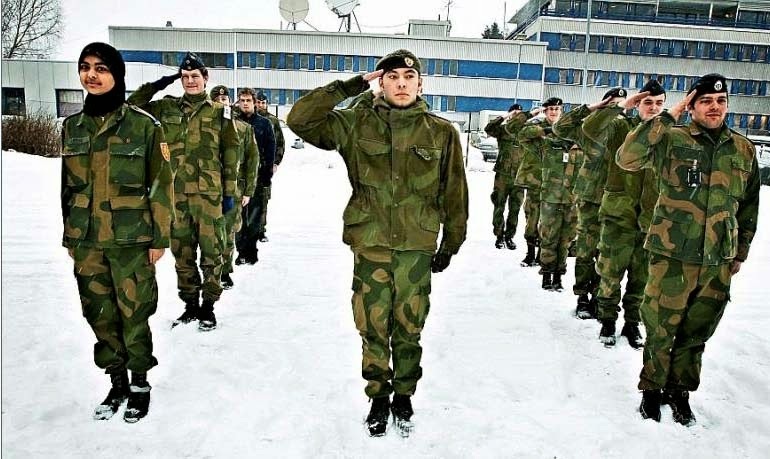 The Luftforsvaret ('air defence') used its own distinctive camouflage pattern until 1996, after which time Luftforsvaret personnel began to receive the camouflaged field jacket used by other arms of the Norwegian defence forces.